Website builder Jimdo has released a native iOS app that makes it possible to create and edit websites on an iPhone or iPad. While I'm not typically an advocate of using a plug-and-play solutions like Jimdo (or any of the automated website builders) to develop a digital presence, I understand the appeal. In many cases they serve as wonderful and reliable introductions to what the Web has to offer - more digitally inclined and tech-savvy enterprises will want to stick with what's more robust however. Releasing an app (and a native app at that) however will prove convenient to some and its relative ease of use will likely be welcomed by both new and existing users (Jimdo indicated that the 8-9 million websites already created and running on its platform can also be edited in the app). The app enables Jimdo site owners to sign up, choose a layout, pick their Web address and publish. Users can add photos, modify headlines and text (even designate H1, H2 and H3), and add new pages. 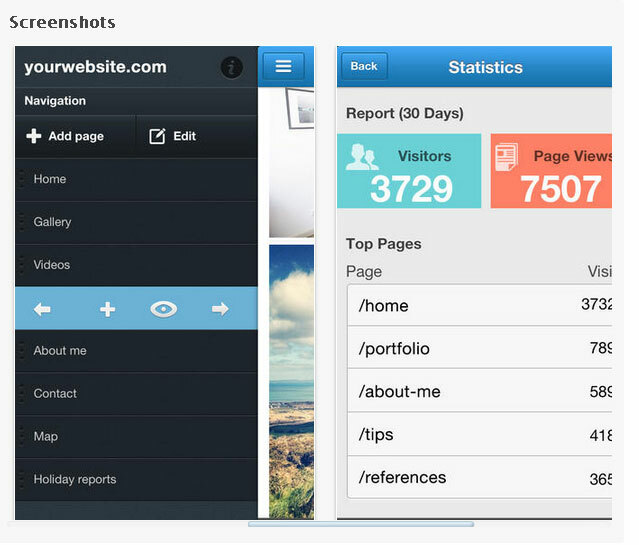 JimdoPro and JimdoBusiness users can also check their site analytics. "The desktop version of Jimdo is already powerful," said Christian Springub, Jimdo's co-founder. "By integrating the new app with our existing platform, users now have the freedom to decide when, where, and with which device they edit their sites. Users can even start on one device and finish on another."